Eight years ago, Almudena Cid announced her retirement. 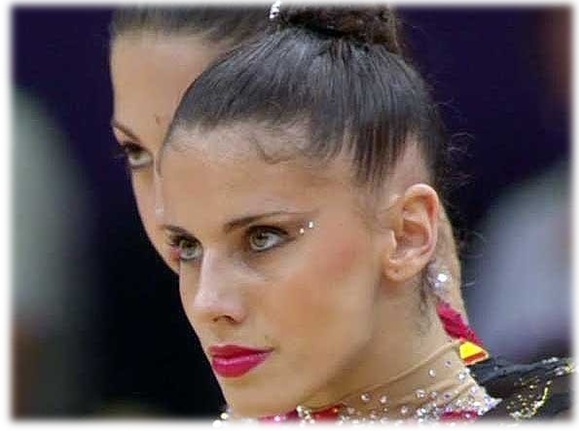 Almu is a RG legend, becoming the only rhythmic gymnast who competed in four Olympic finals. – How could you describe your gymnastics life? – I remember that life every single day. Now that I am an actress I can express my feelings to the audience, like I did when I was a gymnast. – How was your role as a gymnast? – When I watch back my videos, I feel like I was a different. I was not that unbreakable than I looked like on the carpet. I was really competitive. Now, I am feeling more authentic, I don’t need to hide my feelings. – What is your opinion about masculine rhythmic gymnastics? 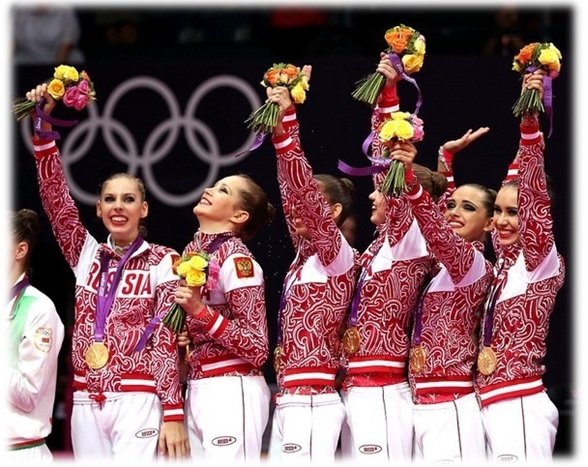 – We have seen a few rhythmic gymnasts boys with a high level. 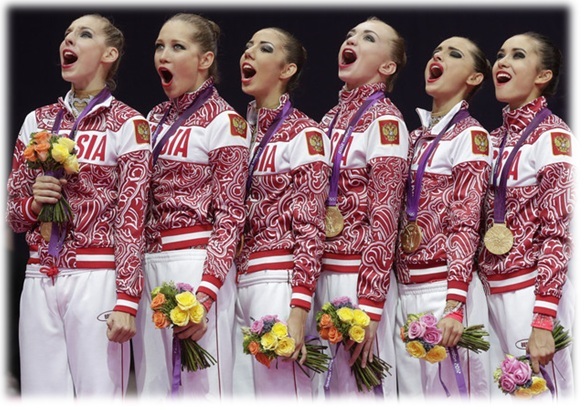 But since other countries of the world didn’t recognize them as gymnasts, this category didn’t exist. But I think they really deserve a position in this sport. It is a way of expression (although there is controversy around it, moreover the aesthetic part). If we exclude them, it is like going a step backwards. When I decided to retire I had the opportunity to speak about my memories. I thought that writting about the end of my career wouldn’t be as useful as speaking about my sportslife as an elite gymnast. And that’s why I pretend to express when I write my books: to help the girls who are starting their gymnast career. “Olympia” is starring my tales. She is quite sensitive. You can see what I felt before, during and after competitions through her character. Ukrainian Grace, Anna Bessonova became World Champion eight years ago in Patras, Greece on 21st of September of 2007. The year 2007 would also mark the start of a new challenge for Bessonova with rise of new Russian gymnast Evgenia Kanaeva, but Anna won all the gold medals in 2007 Summer Universiade beating Russia. 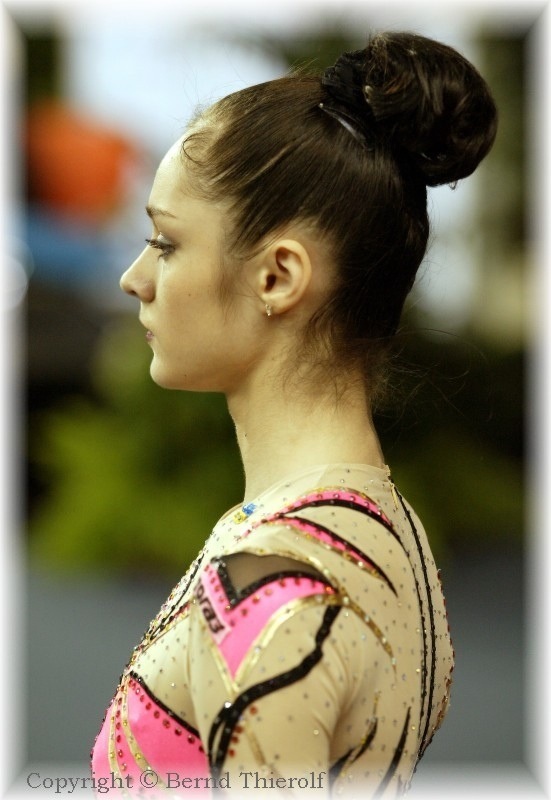 Four years before in Budapest, she almost got gold in All-Around, but she could’t win Alina Kabaeva. Bessonova became audience’s favorite and was always surrounded by hundreds of fans in every single competition. But Patras was definitly her competition. She won the All-Around medal defeating Russians Olga Kapranova and Vera Sessina, against nearly impossible odds. After a flawless performance with hoop “Avrora”, judges scored this routine with 18,650. Russian former gymnast, Alina Kabaeva, became a star in 1998 since she won Gold medal at Goodwill Games in New York. Her career was unstoppable: 15 gold medals at European Championships, 9 World Championships gold medals and Olympic Champion in Athens 2004. She is one of the most successful gymnast in the history of Rhythmic Gymnastics. Nowadays, Alina is member of the Public Chamber of Russia. These pictures were taken in 2001/2002 season, which was not easy for Alina. Kabaeva tested positive to a banned diuretic, Furosemide. She was disqualified for World Championships Madrid and Goodwill Games in 2001. 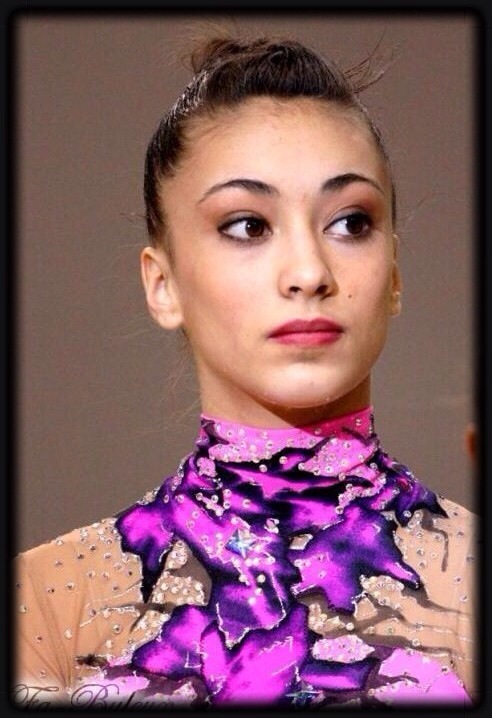 In 2002 Alina could compete again. 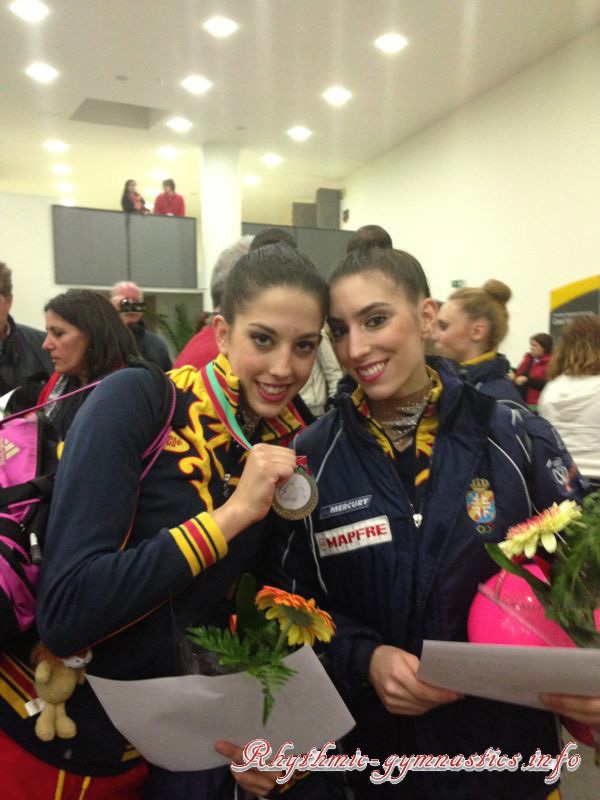 She became European Champion. Epic moment for Spanish group who won gold medal at World Cup Lisbon. Bulgarian gymnast, Simona Peycheva is back to gymnastics after 5 years. 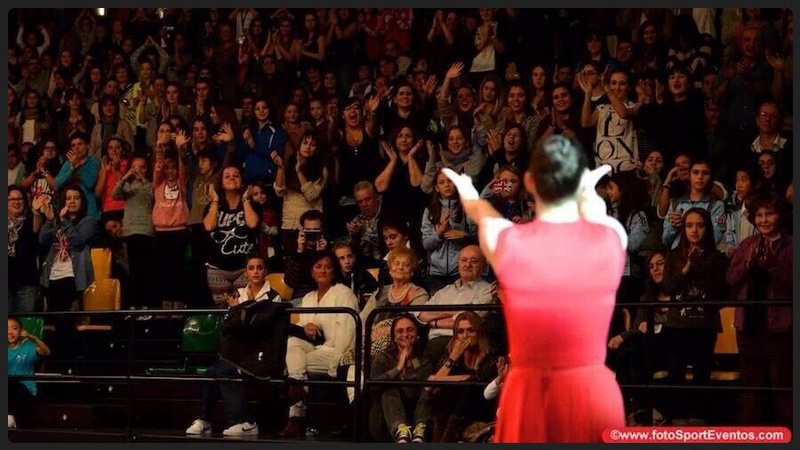 The audience (Euskalgym) giving a standing ovation to Alina Maksymenko. She will retire at the end of the year. The most beautiful portraits – back in time. Each professional picture instills feelings. Could you describe them? 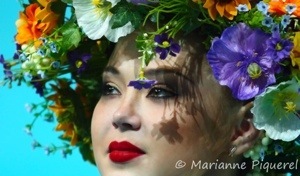 London 2012 Summer Olympic Games: the best memorable and emotional moments in pictures. Darya Dmitrieva (Silver) and Evgeniya Kanaeva (Gold). Spanish Group: they got 4th position. Uliyana Trofimova got injured a day before Olympic Games. Russian Group (Gold) singing Russian National Anthem. Bulgarian Group original ending position. Liubov Charkashyna kissing the carpet after finishing her last routine. Liubov Charkashyna crying: she got Bronze. Anna Rizatdinova got qualified for finals. The arena was packed. Granada was one of the competitions with the most active audience. Singing, laughing, and, cheering almost whole time. A happy atmosphere lingered in the air. Spanish fans were so glad to have once again, Rhythmic Stars. Granada was one of the competitions with the most active audience. Someone left out. Everybody wanted her to be there but, unfortunatly it wasn’t possible. Who is this girl? Irina Tchachina, 2nd in World Championships 2001 (individual) and World Champion with Team Russia. Ira and Alina Kabaeva tested positive for Furosemide, after Goodwill Games 2001. They lost their World Champions title and got a tough sanction: they weren’t allowed to compete in the following competitions for some months. 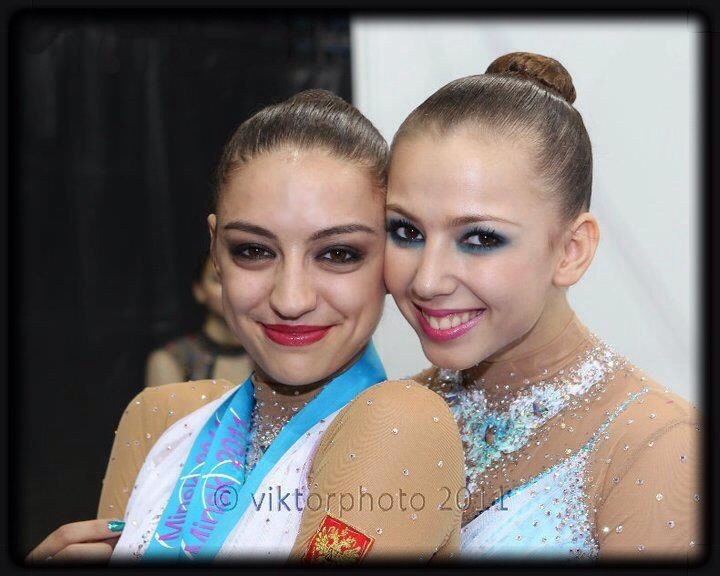 So, the team got two new gymnasts in adition to Utyasheva and Kabaeva, very young girls: Zarina Gizikova and Vera Sesina. Drama. Russian coach, Irina Alexandrovna Viner, was more than angry. All was recorded by cameras. Ukrainian school was fighting for the podium. Tamara Yerofeeva, Natalia Godunko and Anna Bessonova were Team UKR. White swan had a name: Anna Bessonova. With Tchaikovsky’s theme “ Swan Lake”, Anna performed a unique routine. A young belarusian girl, Elona Osyadovskaya, who would compete with the BLR group the following year, defended just an exercise. It was the one with ball. Yulia Raskina, had not recovered yet from her injury. The new team was Osyadovskaya, Rudalova and Inna Zhukova. Raskina did also a gala. Maybe, this error was the reason for not winning a medal. Team BLR was out of the podium. Did you know…? Carolina Rodriguez, Team Spain, was also here. She is still doing elite RG. Team Spain were Almudena Cid, Jennifer Colino, Carolina Rodríguez and Tania Campo. Las gradas llenas. La audiencia eufórica y coreando el nombre de sus gimnastas favoritas incansablemente. Todo ello en una atmósfera de alegría y festividad. El público español, recibiendo una vez más a las estrellas de la rítmica. Una época negra para la gimnasia rusa. Se echaba en falta una grande. Ella era Irina Tchachina, subcampeona del Mundo individual y campeona del Mundo por equipos. Ira y Alina Kabaeva, daban positivo por Furosemida (diurético de asa, de alto techo prohibido por la F.I.G.) en un control sorpresa anti-doping tras los Goodwill Games del año 2001. Ésto las despojó de sus victorias en competiciones previas incluyendo, asimismo, sanciones y por tanto, la no participación en competiciones oficiales. Se echaba en falta una grande. Ella era Irina Tchachina, subcampeona del Mundo individual y campeona del Mundo por equipos. El equipo quedaba constituido por Alina Kabaeva, Zarina Gizikova y unas jovencísimas Lyasan Utyasheva y Vera Sesina. Llegó el drama. La primera entrenadora rusa Irina Viner, entró en cólera con su gimnasta. Todo ello grabado por las cámaras. 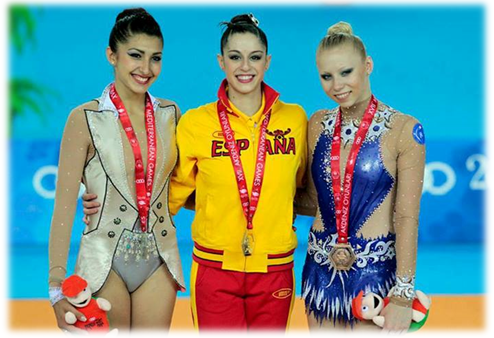 La escuela ucraniana, al mando de Irina y Albina Deriugina, arañaba puestos en la clasificación, con sus gimnastas Tamara Yerofeeva, Natalia Godunko y Anna Bessonova. El cisne blanco tenía un nombre: Anna Bessonova. Con esta adaptación de Tchaikovsky, Bessonova marcó época con un ejercicio de aro inolvidable. Elona Osyadovskaya, la jóven bielorrusa que luego pasó a formar parte del conjunto, defendía un ejercicio: pelota. Yulia Raskina, primera gimnasta del equipo en el año 2000, salía de una importante lesión y fueron sus compañeras Svetlana Rudalova e Inna Zhukova las encargadas de formar el nuevo equipo. Quizás este fallo, le costó al equipo el pódium. Carolina Rodríguez, aún en activo, participó también en este campeonato.